Georgia Moon Corn Spirit is bottled in a hipster-ish mason jar at 40% ABV, and, according to the bottle, it’s less than 30 days old. 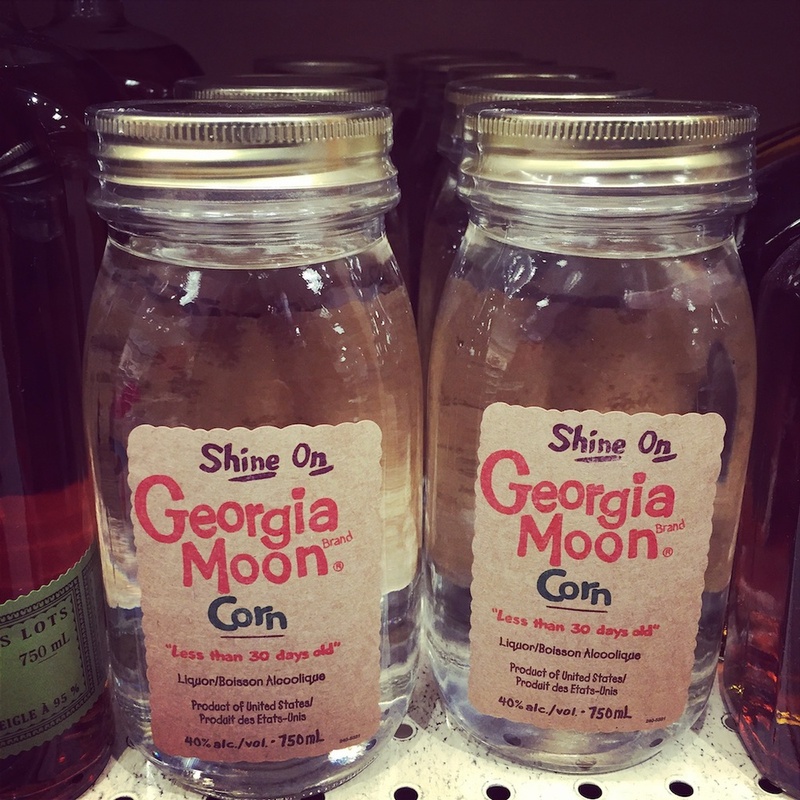 This moonshine sells in the US for between $6 to $12 (Instagram followers confirmed buying it for $6 in NYC!). It looks like it was made in the deep south at a rusty old distillery running out of someone's bathtub. Despite some misdirection, it’s actually made by Heaven Hill Distillery (behind incredible bourbons such as Evan Williams and Elijah Craig). The Heaven Hill connection likely explains why Georgia Moon Corn has appeared on LCBO shelves. While it’s great to see the LCBO importing unique barely aged white dog, I do take issue with the price. In Ontario we’re accustomed to paying more for our liquor. Typically, though, the uplift is somewhere between 75% and 100% as compared to the same whisky sold in the US. The LCBO is charging a whopping $32.95 per bottle for Georgia Moon Corn. That's 5.5x more than the cheapest price in the US or 2.75 times the most expensive price. Even by LCBO standards, selling a $6-$12 product for $32.95 seems excessive. As far as I can tell, the cheapest 750ml 40% ABV spirits available at the LCBO are Canadian Club and Cutty Shark. Surely Georgia Moon Corn Spirit could have been priced in that same $25 range. But would that even be the correct price? Putting Georgia Moon Corn in the same pricing class as very affordable Canadian whiskies and blended scotches misrepresents the quality of this product. Ideally, private markets establish price based on competition. Government monopolies have no such burden. To me, that places the burden of pricing spirits correctly on the LCBO. I don’t know how the LCBO decides on price. It is possible that there are existing agreements that prevent the price of Georgia Corn Spirit to go any lower. However, if that’s the case, do the consumer a favour and don’t include moonshine. At the current LCBO price-point, it’s ridiculous. In fact, I’m not even as annoyed at the price as I am at the fact that those same shelves could, instead, be filled by any number of excellent $18 whiskies uplifted to $32.95. Are there other oddly priced spirits? Let me know bellow! Side-note: The LCBO imported the cheaper 40% ABV Georgia Corn Spirit. There is a 50% ABV Georgia Corn Spirit that’s generally available for around $14 in the United States. The LCBO also included Georgia Moon Apple Pie Corn Spirit at $29.95 and bottled at 35% ABV.